III. Advocacy efforts to enable parents to advocate for themselves and to advocate for all families on a wider Provincial level, including: E.I. legislation for benefits to Parents of Critically Ill Children, reduced hospital parking rates, representation for childhood cancer survivors, supporting the educational needs of children with cancer, and more! Our primary focus in helping these families is the Parent Liaison program, which is already operating at The Hospital for Sick Children ("SickKids") in Toronto and Credit Valley Hospital in Mississauga. 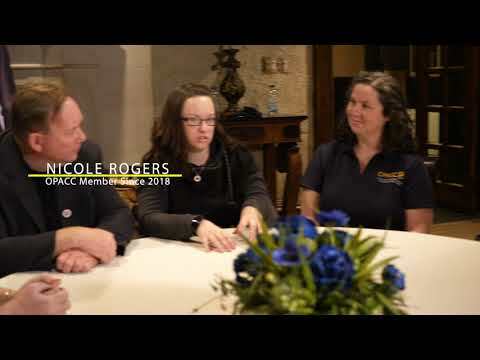 Parent Liaisons are professionals and parents who have already undertaken a childhood cancer journey and understand the impact a diagnosis has on the entire family. They help parents from a non-medical point of view and can help direct them through the myriad of services and opportunities that exist for families both in and out of the hospital. They offer drop-in support groups, one-on-one visits to families, distribution of free support materials, and more. As OPACC grows, we will continue to establish more Parent Support Groups throughout Ontario, as well as bring our Parent Liaison Program to other Pediatric Cancer Centres. In addition to the in-hospital support provided through our Parent Liaison program, OPACC also works with local community groups across the Province to build a network of local community-based Parent Support groups to ensure that families are supported once they are back home. OPACC is an independent registered charity; while we often partner with other organizations to provide services to our families, our programs are managed separately. OPACC receives no government funding and all funding for the development of our programs, services and special events (which are provided at no cost to our families) comes from the donations of generous organizations, businesses, foundations, and individuals. OPACC is different because we support parents (and families) of children with cancer! While children with cancer deservedly have access to an impressive support network of healthcare professionals, friends and family, and charitable organizations focused on making them better and improving their quality of life, parents are often the "forgotten patient" and experience a high level of stress while juggling the demands of caring for their sick child as well as for the rest of the family and work. A diagnosis of childhood cancer is devastating in its impact to the entire family, as they experience fear, anxiety, and frequently face financial hardships. OPACC believes in the value of providing parent support and that strong families start with strong parent support. After donating, please check if your employer will match your donation on our Matching Gifts page. If they do, then the impact of your donation will be doubled!